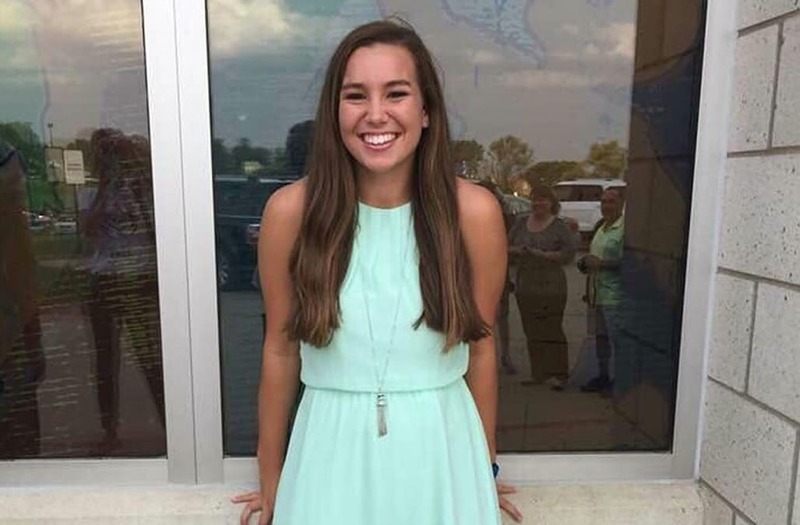 The father of missing Iowa college student Mollie Tibbetts believes his daughter was abducted by someone she knows and that they are now "in over their head." Tibbetts, 20, was last seen in the small town of Brooklyn on July 18, and did not show up for work the following day. Investigators have stayed relatively mum, but local pig farmer Wayne Cheney, who has a history of stalking arrests, says he has been questioned multiple times. Cops have not identified any suspects. Dad Rob Tibbetts told CBS News that he believes Mollie left with someone "willingly" and with someone she trusted. "Now they're in over their head and they don't know what to do," Rob Tibbetts tells CBS. He told ABC News that he believes she is with someone who misunderstood her intentions, but admits it is "totally speculation." A reward fund for Mollie's safe return has reached $260,000. Rob Tibbetts is still hopeful that the University of Iowa student will be found alive. "I do really believe that what happened to Mollie wasn't that someone set out to harm her," he told ABC News. "I think because they haven't found Mollie, that Mollie is still some place, and we can get her home." A GoFundMe page supporting the search efforts has raised more than $19,000. Anyone with information on her whereabouts to contact the Poweshiek Sheriff's Office at (641) 623-5679. "We're gonna come get you," Rob Tibbetts tells CBS News. "Everybody's looking."